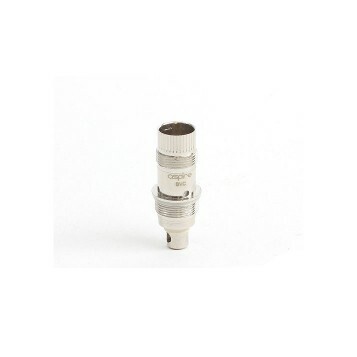 Pack of 5 replacement BVC atomizer heads for the Nautilus and Nautilus Mini. These bottom vertical coils can be used in either the Nautilus or Nautilus Mini. The BVC (bottom vertical coil) replacement heads for the Nautilus and Nautilus Mini are a new atomizer head design that gives longer lasting performance with increased vapour and flavour. The Nautilus coils are arranged in a vertical configuration which allows better airflow, vapour and flavour. These BVC coils are wick-less which also gives them more durability. The BVC Nautilus Coil Replacement Heads are available in 1.6 ohm and 1.8 ohm resistance. Comes boxed in packs of 5. All heads come in pre-sealed plastic packaging.